This hard to find Lowland single malt, from the silent Rosebank distillery, was distilled in 1979 and bottled for the well decorated Connoisseurs Choice series by Gordon & MacPhail in 1993. 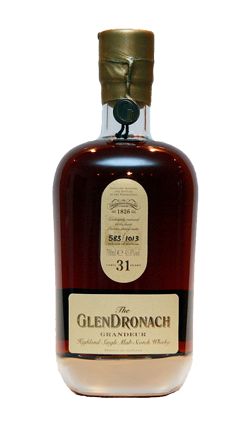 A hugely collectible expression, this is an old map style presentation bottling. Rosebank is a Scotch Whisky from the Lowland region of Scotland. 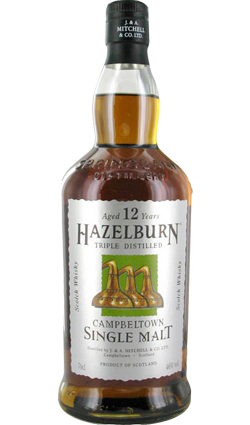 The distillery is located near the town of Campbeltown. 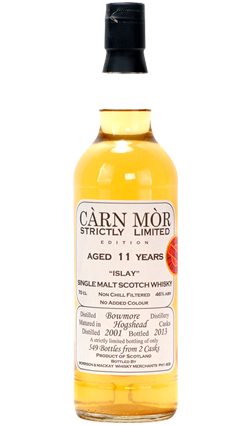 It was closed in 1993 becoming one of Scotland’s much revered “lost distilleries”. 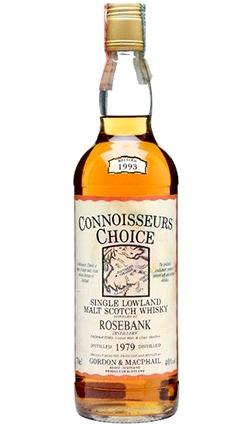 This hard to find Lowland single malt, from the silent Rosebank distillery, was distilled in 1979 and bottled for the well decorated Connoisseurs Choice series by Gordon & MacPhail in 1993. 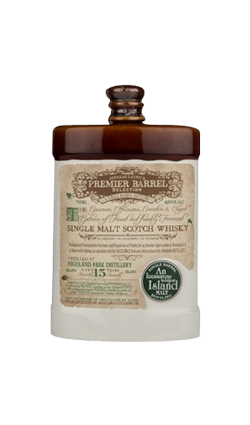 A hugely collectible expression, this is an old map style presentation bottling. Sweet and fruity – toffee apples. A hint of citrus and fresh peppermint. Creamy and smooth. A hint of chocolate with a floral edge. Fresh and minty. A Fruity note comes to the fore – ripe bananas. A citrus note is still present – lime. Still creamy and smooth. Dark chocolate flavours are more pronounced. A hint of almonds.